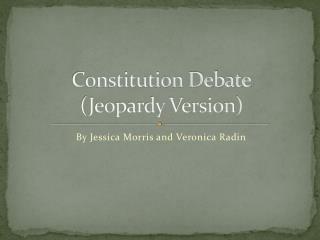 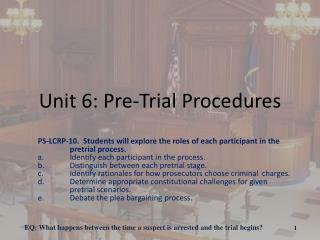 Constitution Debate (Jeopardy Version). 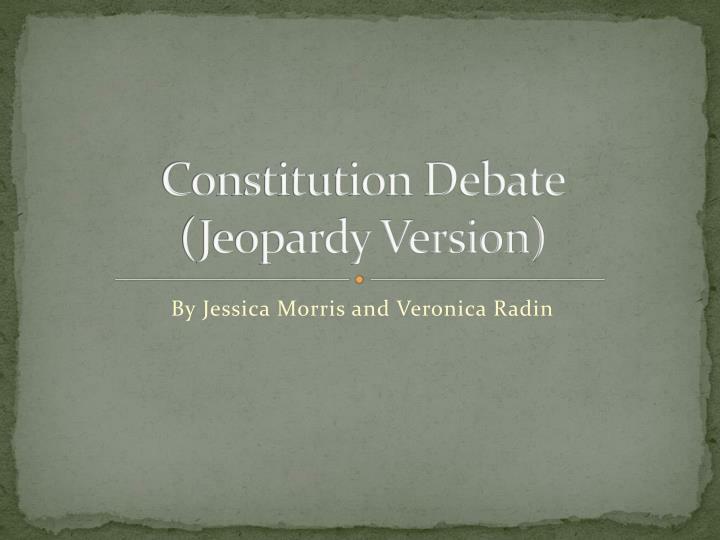 By Jessica Morris and Veronica Radin. 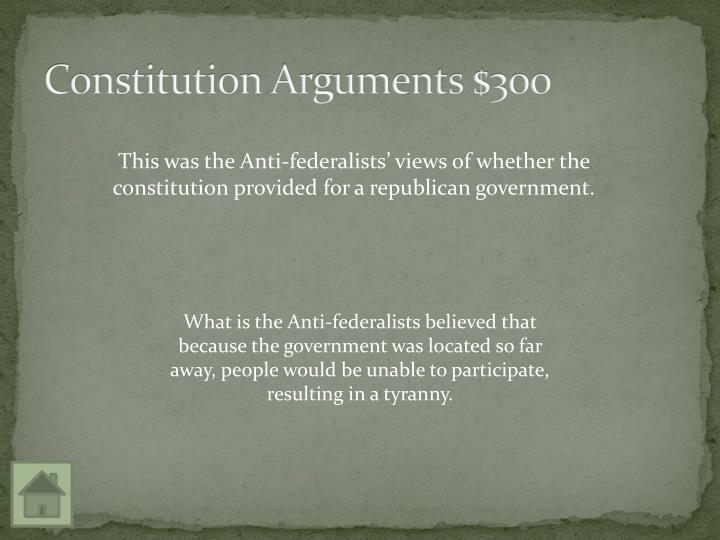 Anti-federalist $100. 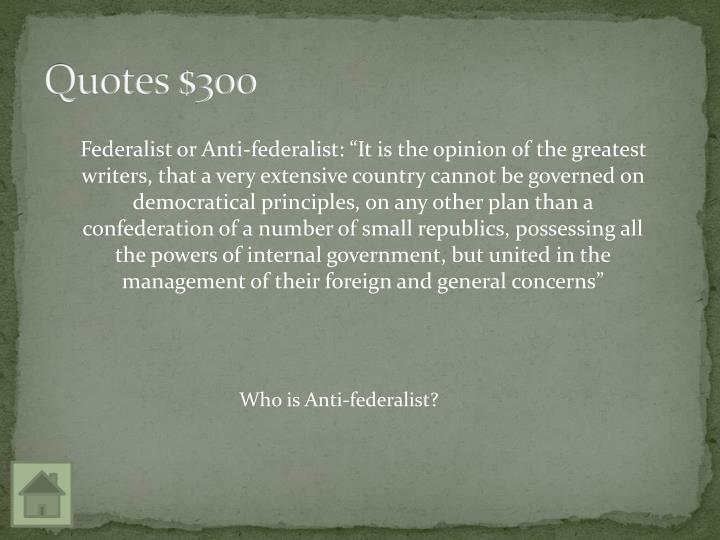 This anti-federalist always opposed the idea of a strong national government. 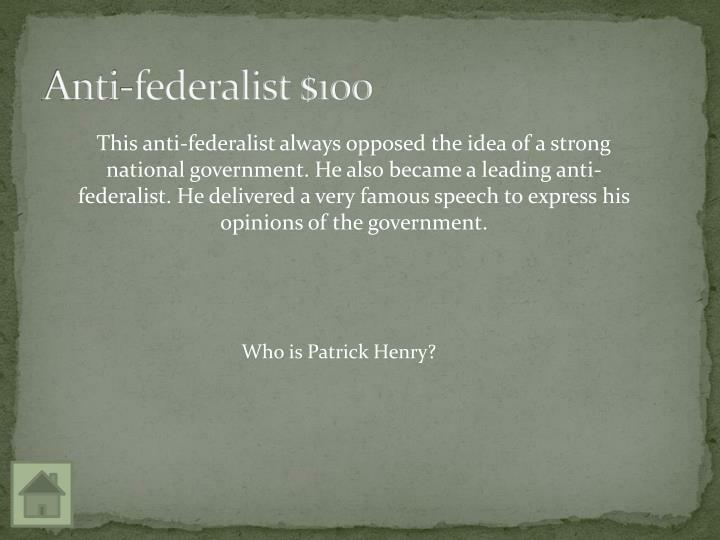 He also became a leading anti-federalist. 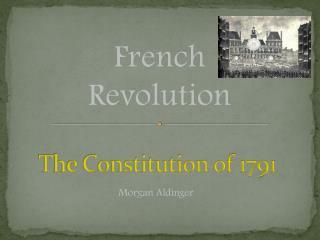 He delivered a very famous speech to express his opinions of the government. 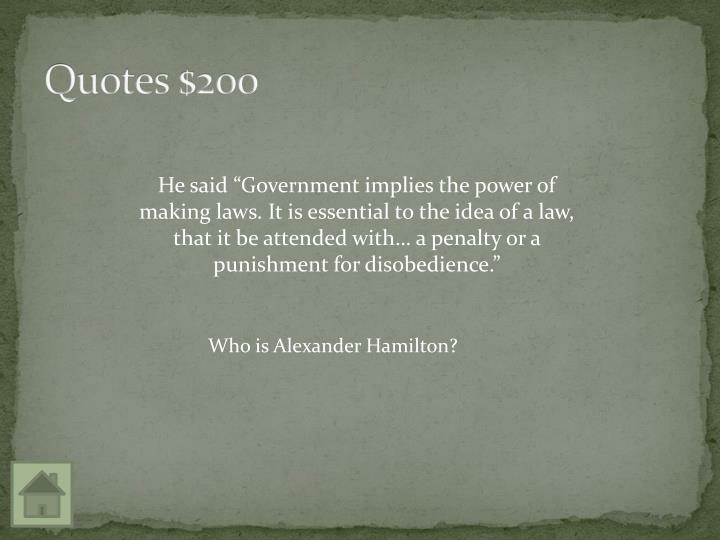 This person signed the Declaration of Independence, but was against approving the Constitution. 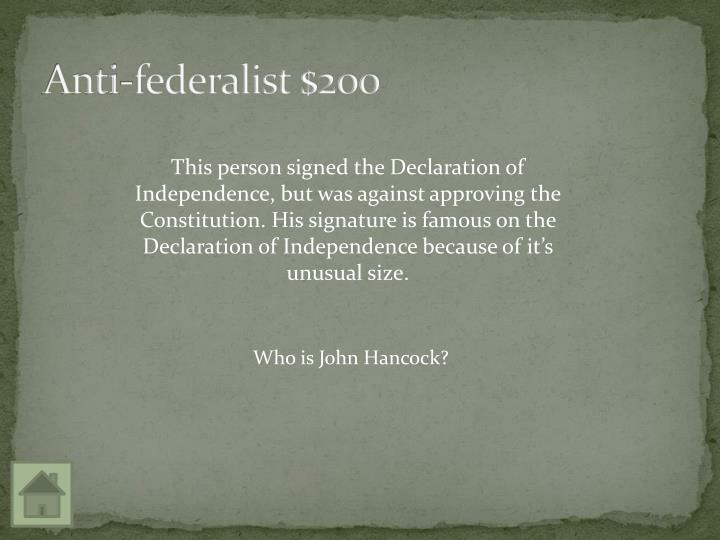 His signature is famous on the Declaration of Independence because of it’s unusual size. 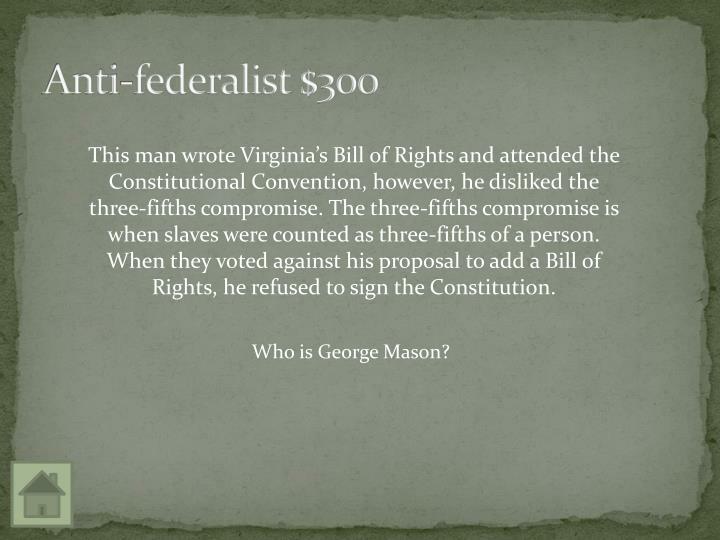 This man wrote Virginia’s Bill of Rights and attended the Constitutional Convention, however, he disliked the three-fifths compromise. 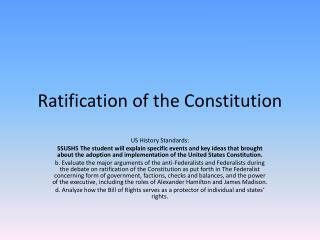 The three-fifths compromise is when slaves were counted as three-fifths of a person. 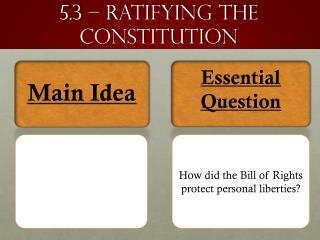 When they voted against his proposal to add a Bill of Rights, he refused to sign the Constitution. 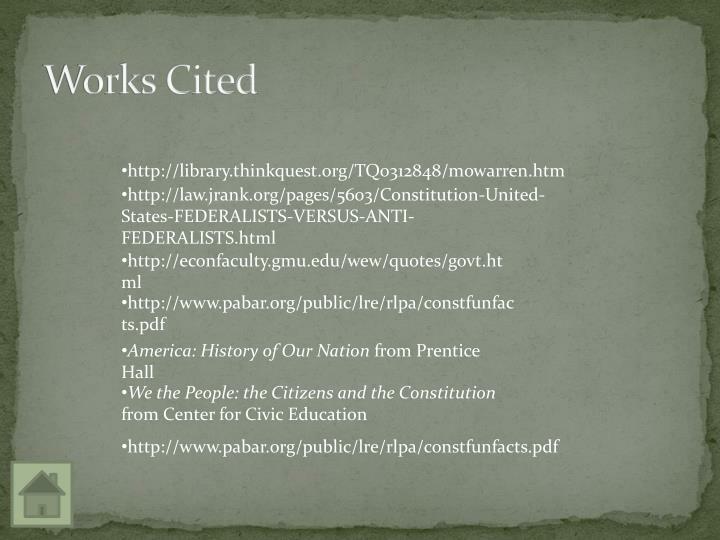 This woman was a playwright who wrote pamphlets explaining why she didn’t support the constitution. 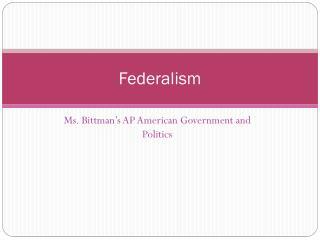 She was a patriot and strongly supported women's rights. 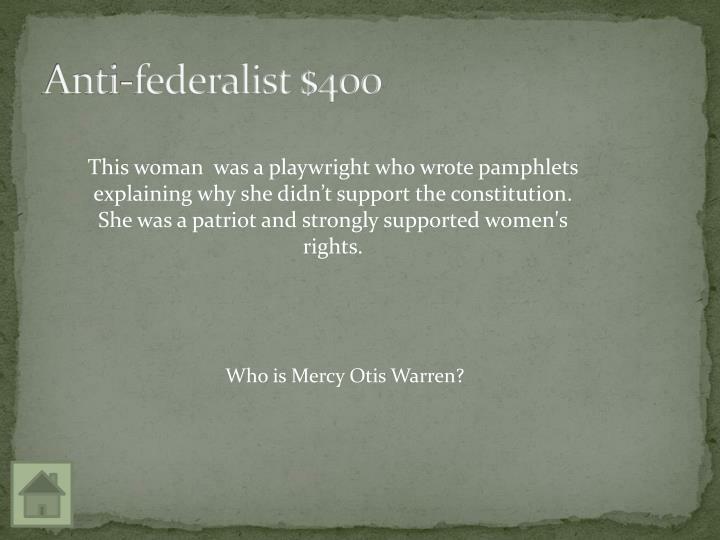 Who is Mercy Otis Warren? 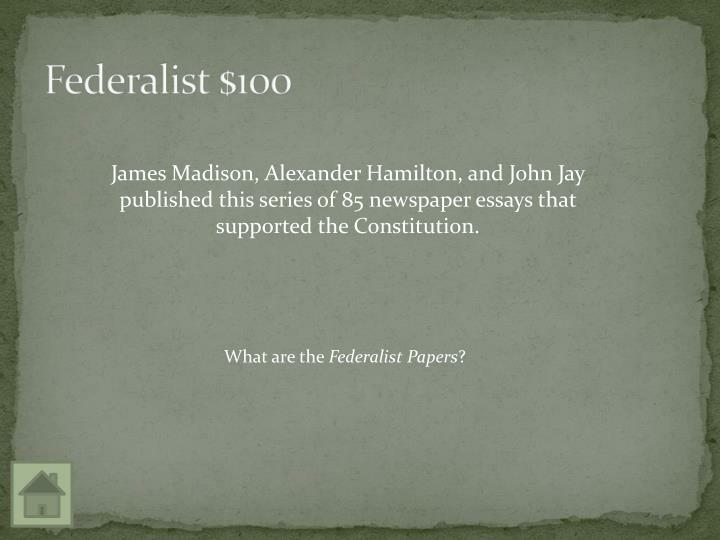 James Madison, Alexander Hamilton, and John Jay published this series of 85 newspaper essays that supported the Constitution. 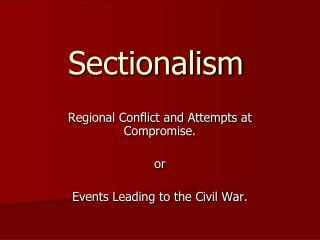 This was the basis of the federalist position. 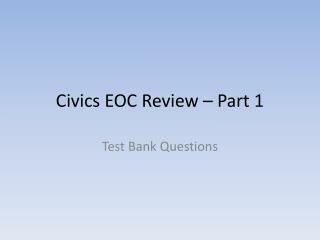 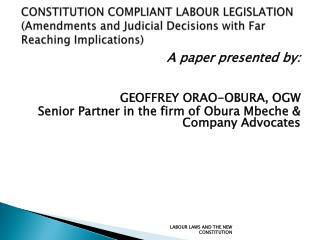 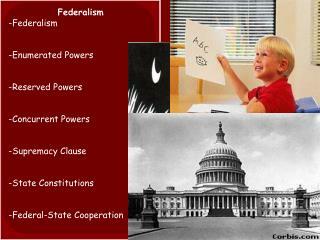 It necessary for the government to have powers which it didn’t before, such as the power to enforce laws. 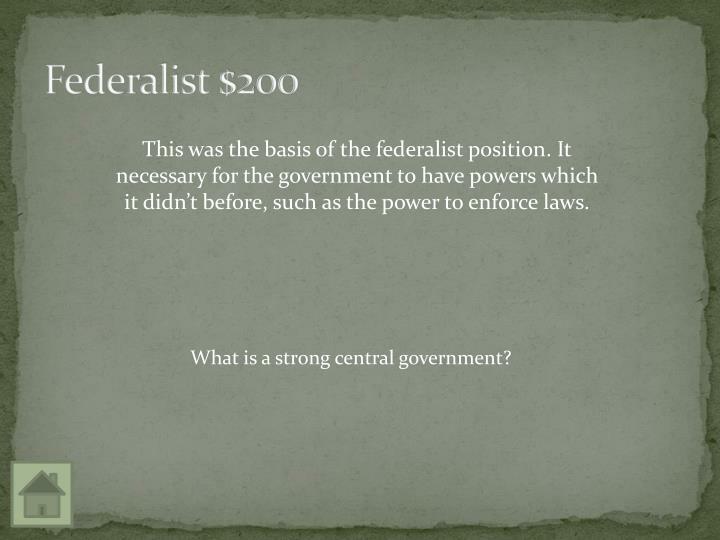 What is a strong central government? 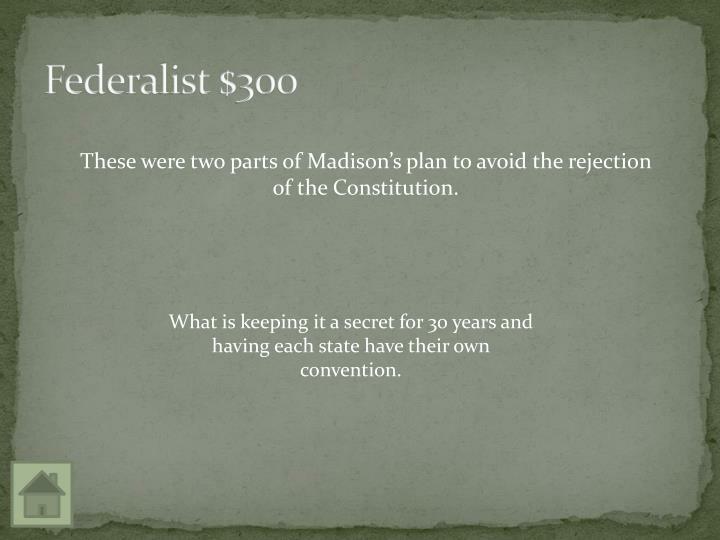 These were two parts of Madison’s plan to avoid the rejection of the Constitution. 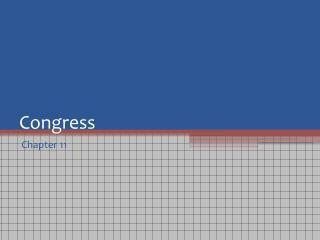 What is keeping it a secret for 30 years and having each state have their own convention. 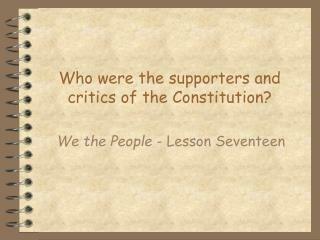 This was the reason that the Framers only wanted the approval of the Constitution from 9 states. 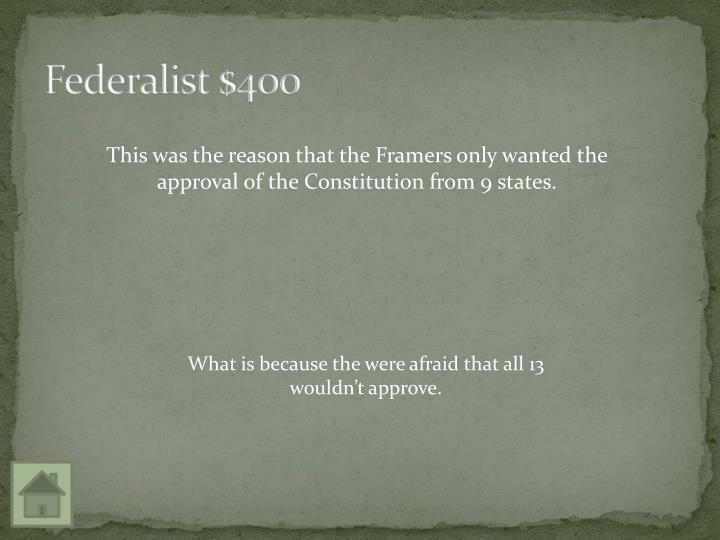 What is because the were afraid that all 13 wouldn’t approve. 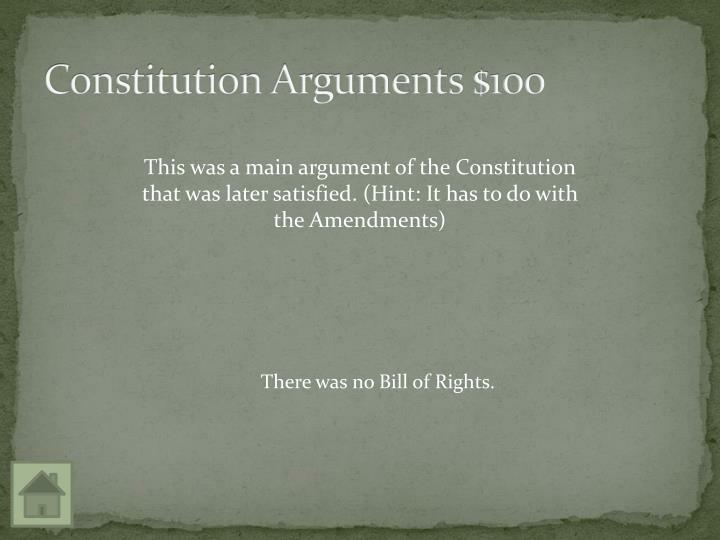 There was no Bill of Rights. 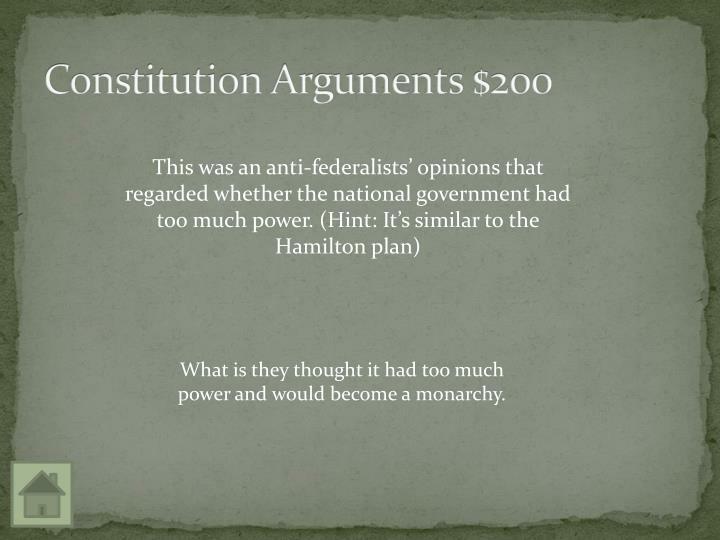 What is they thought it had too much power and would become a monarchy. 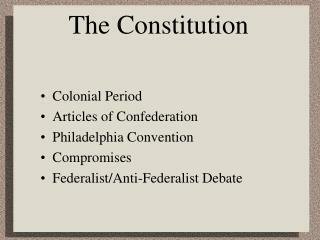 This was the Anti-federalists’ views of whether the constitution provided for a republican government. 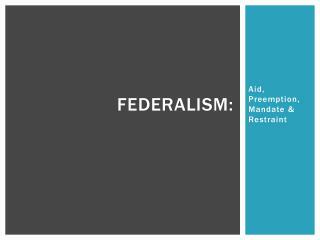 What is the Anti-federalists believed that because the government was located so far away, people would be unable to participate, resulting in a tyranny. 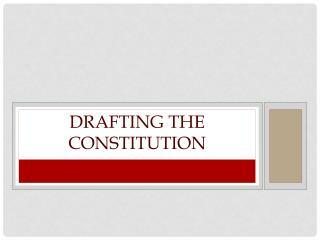 This is a reason for why the Framers were so secretive when writing the Constitution. 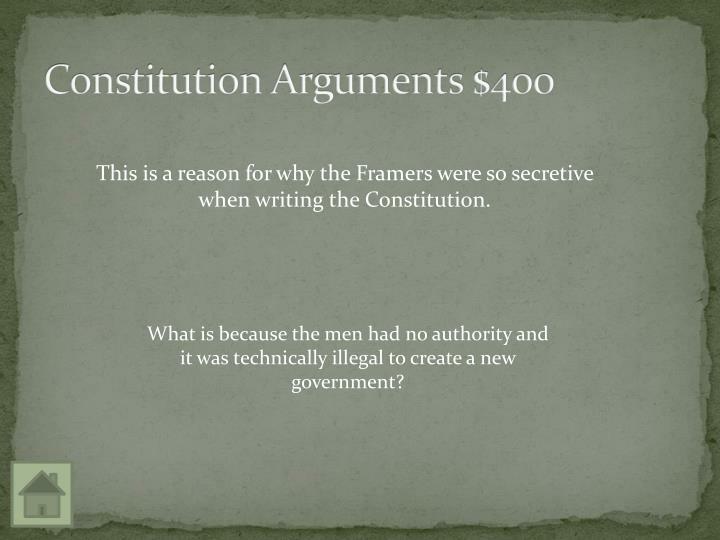 What is because the men had no authority and it was technically illegal to create a new government? This man is know for saying “Give me liberty, or give me death” in his speech that expressed his opinion. 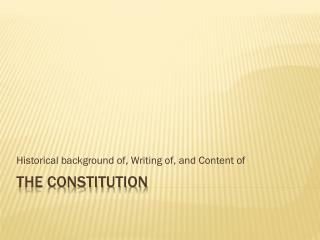 It is the opinion of the greatest writers, that a very extensive country cannot be governed on democratical principles, on any other plan than a confederation of a number of small republics, possessing all the powers of internal government, but united in the management of their foreign and general concerns. 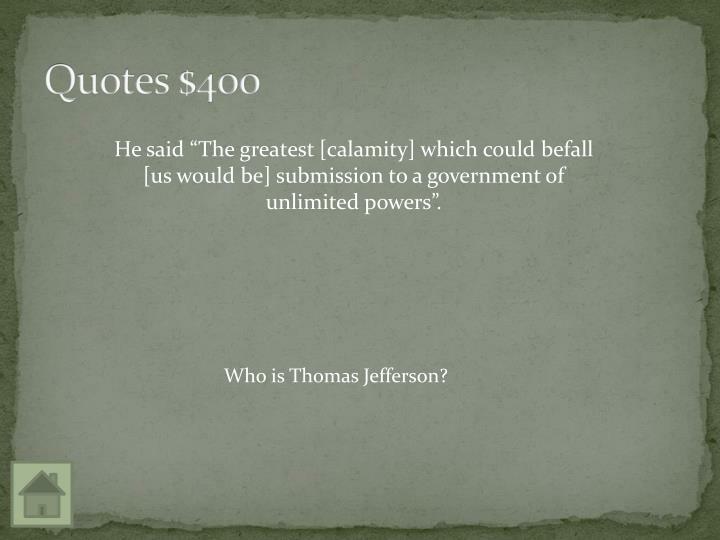 He said “The greatest [calamity] which could befall [us would be] submission to a government of unlimited powers”. 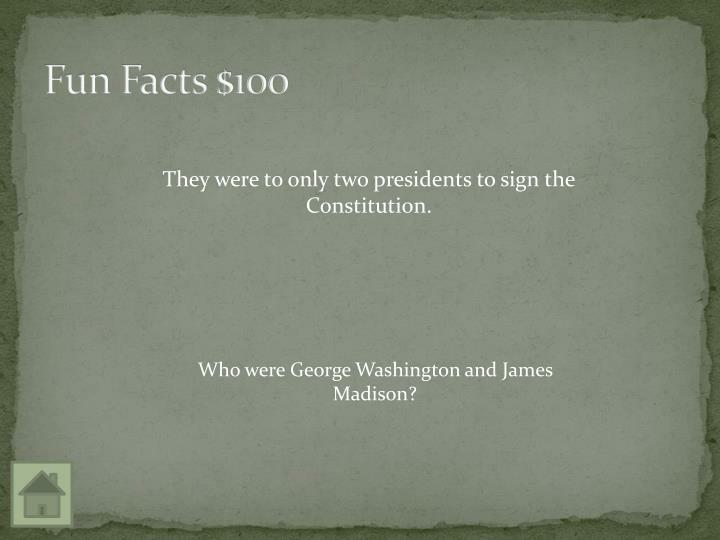 They were to only two presidents to sign the Constitution. 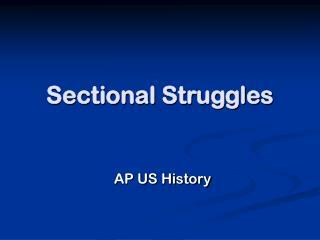 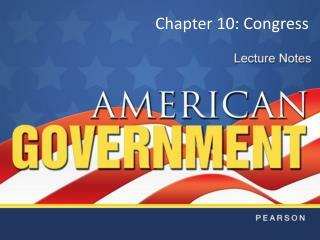 Who were George Washington and James Madison? 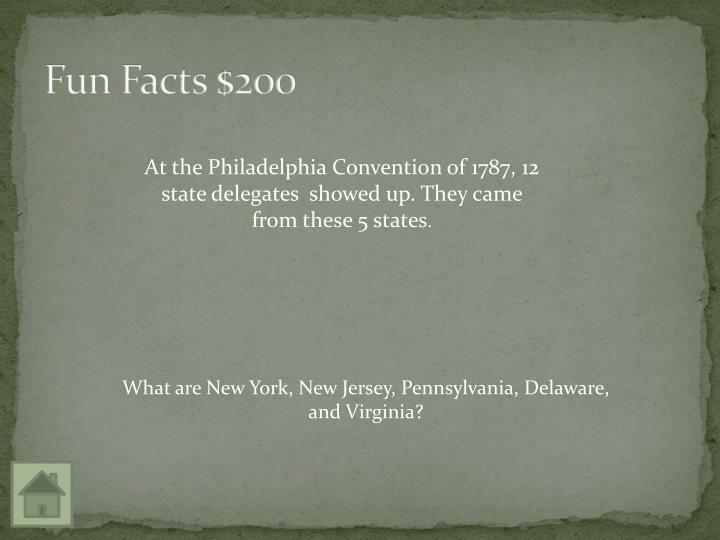 At the Philadelphia Convention of 1787, 12 state delegates showed up. 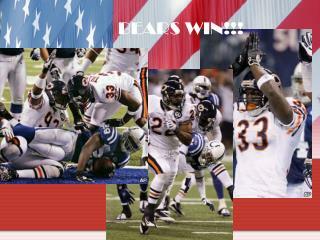 They came from these 5 states. 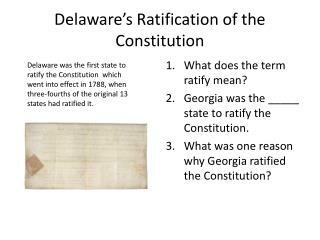 What are New York, New Jersey, Pennsylvania, Delaware, and Virginia? Name 3 of the 7 ideas of government. 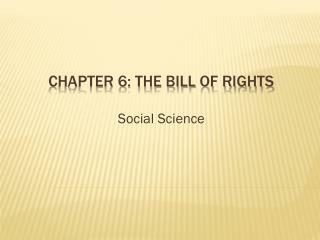 What are Social Contract, Popular Sovereignty, Representation, Separation of Powers & Checks and Balances, Legislative Supremacy, and Secrecy. 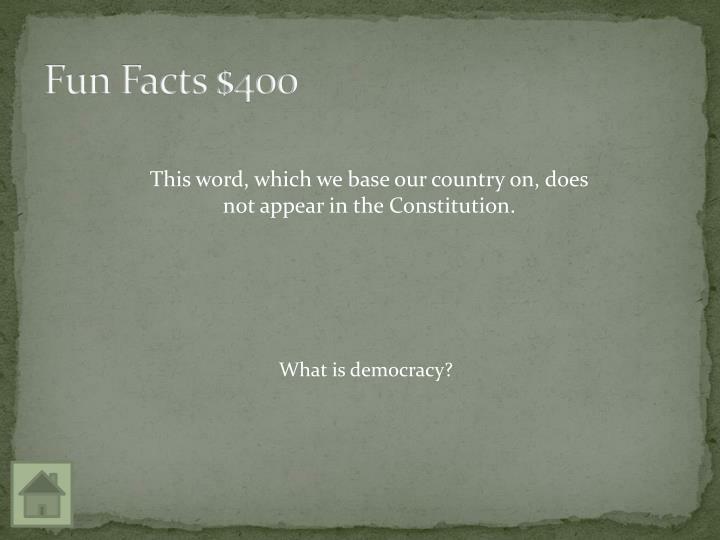 This word, which we base our country on, does not appear in the Constitution. 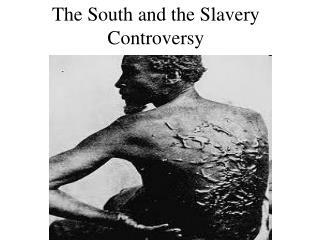 The South and the Slavery Controversy -. 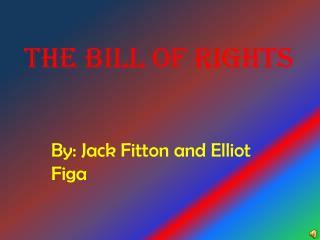 post revolution- tj and other southern leaders openly talk about freeing slaves eli whitney restores profitability of slavery cotton cultivation chains the slave to the gin, and the planter to the slave.